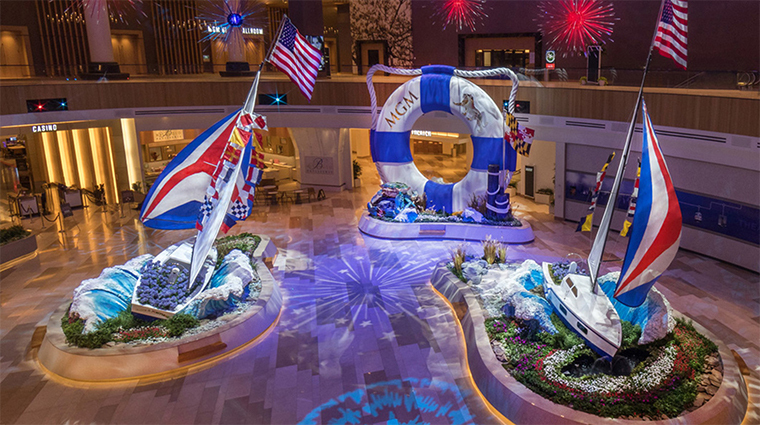 Much more than just a gaming destination, MGM National Harbor — the Washington, D.C., area’s first casino resort — brings fine dining, entertainment and the high-roller lifestyle to the capitol city. 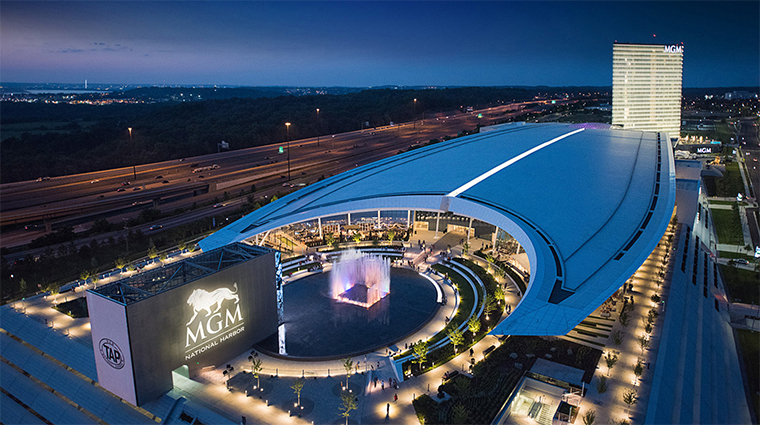 MGM boasts a 308-room hotel, a 3,000-seat theater, an 11-room spa, a 125,000-square-foot casino and four full-service restaurants, plus a food court, cafés and more. Housed in a sleek glass tower soaring above the skyline, MGM feels eons away from the policy-making going on just 15 minutes down the street on Capitol Hill. The $1.4 billion project opened in December 2016 to much fanfare, bringing a long-desired dose of Vegas to the East Coast. The theater, which has already hosted big-name acts like Bruno Mars, Cher and Boyz II Men, can also be configured in the round for events like boxing. 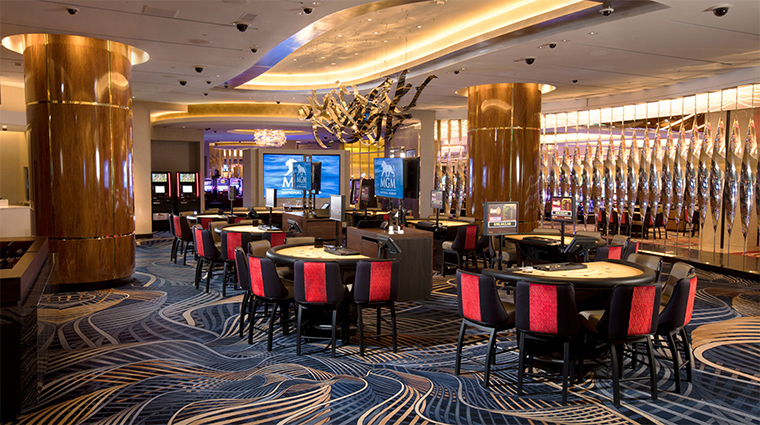 The casino may be small by Vegas standards, but it’s plenty big for local visitors, who can take over the 48 blackjack and 10 craps tables, 39-seat poker room and more than 3,000 slot machines. 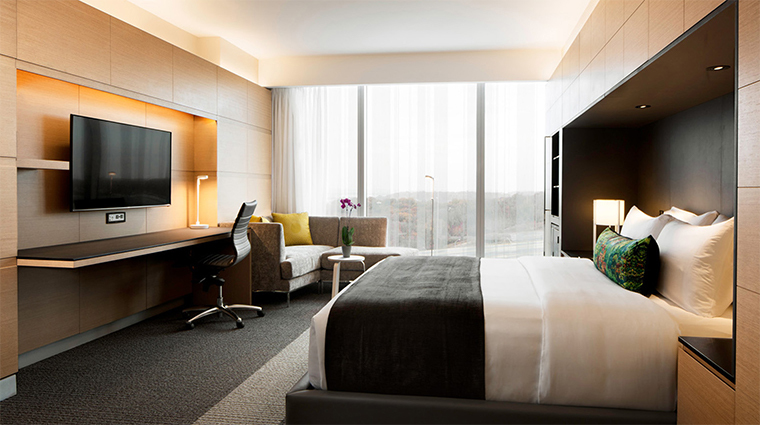 The 308 guest rooms at this D.C. hotel are spacious, starting at 400 square feet, and have floor-to-ceiling windows perfect for viewing the Potomac River or city skyline. 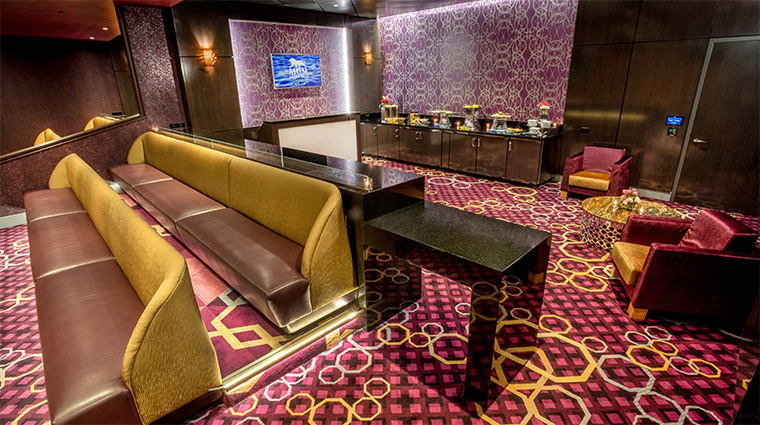 Dining is a highlight at this casino resort. 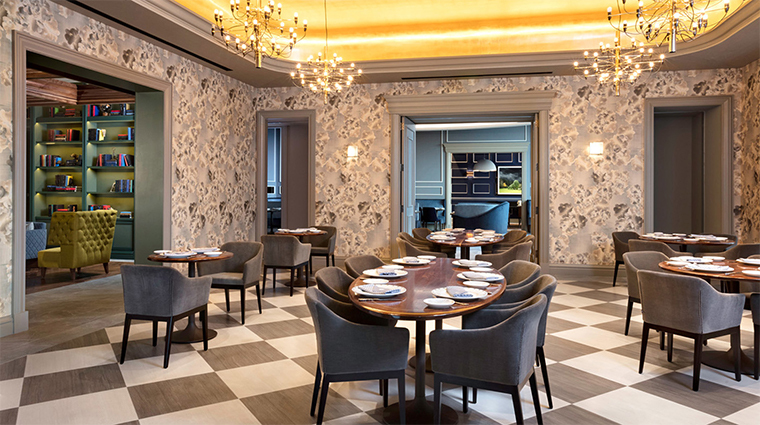 Expect eateries from well-known chefs like Marcus Samuelsson’s contemporary Southern fare at Marcus, D.C. native José Andrés’ seafood-focused Fish, and the Voltaggio brothers’ first restaurant together, an eponymously named steakhouse. Looking to shop? 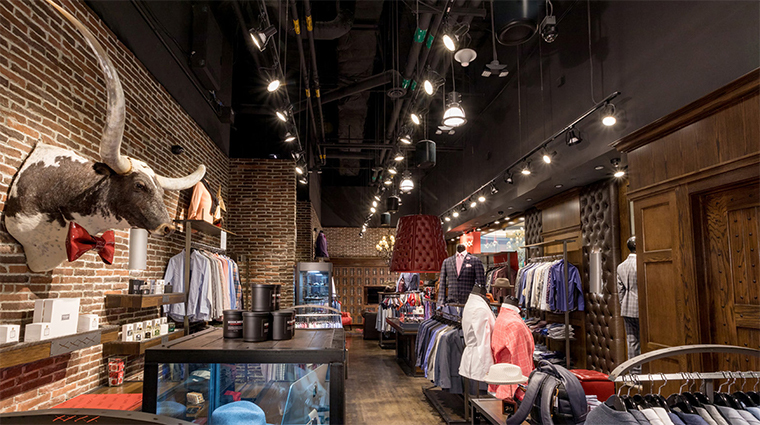 You’ll love MGM’s sleek promenade, with Sarah Jessica Parker’s first shoe boutique, contemporary design haven Ella Rue, stylish menswear shop Stitched and designer sunglasses at Specs. 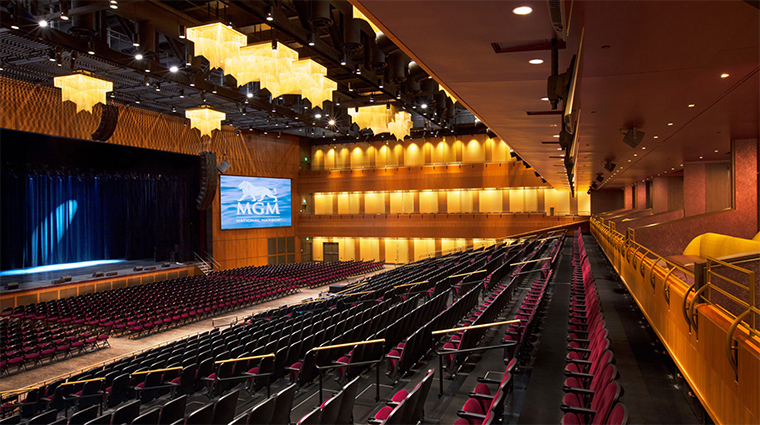 MGM was designed for conferences and events, with plenty of parking, but like its Vegas counterparts, it can feel cavernous. It’s often faster to take a cab or ride sharing service and walk right into the main entrance if you’re visiting for an event. 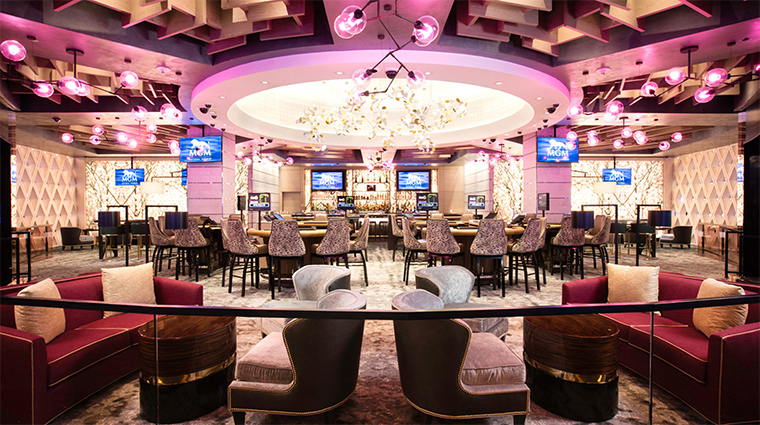 D.C.’s only area casino is popular, particularly when there’s a concert or event in the theater. As a result, table minimums are quite high — usually $25 during the day, and many can get up to $50 or more at night. So if you plan to play, bring your wallet. The 11-room spa feels like a resort haven, one of the most relaxing in the capital. Arrive early to enjoy amenities like the steam and sauna, whirlpool, seasonal outdoor pool and relaxation area. 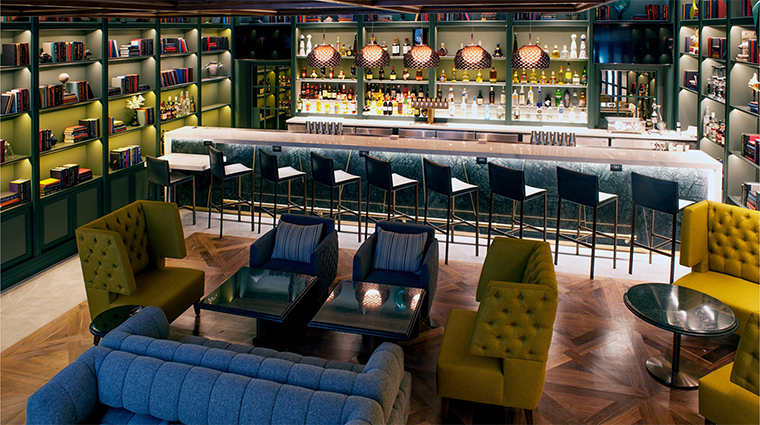 The fine-dining restaurants may steal the attention, but there are some casual options. The food court, National Market, offers Shake Shack, fried chicken and doughnuts, traditional Maryland-style crab cakes and more. 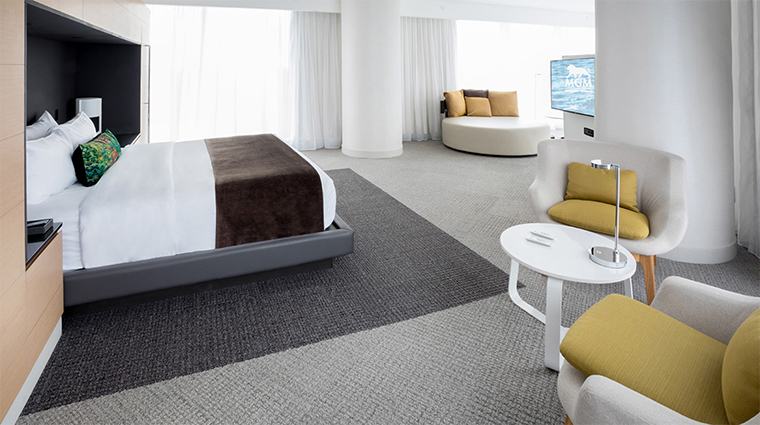 The sleek rooms at MGM National Harbor are modern and high-tech, from the single-touch electric blackout shades to the simple mobile check-in. 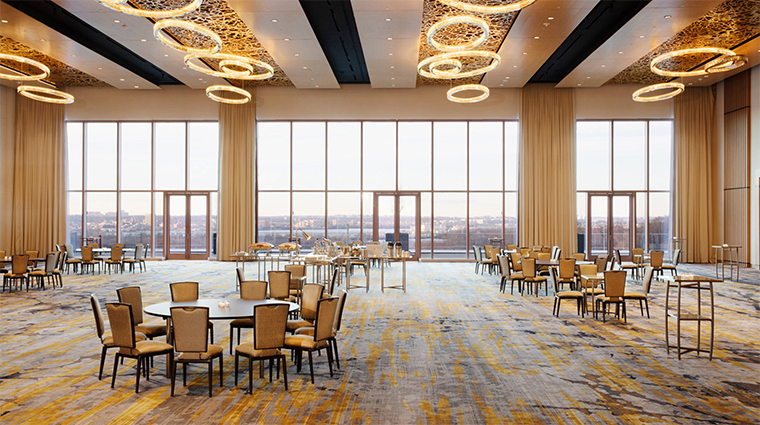 For the best views, book an Executive Corner Suite, where you’ll enjoy a sitting area overlooking the D.C. skyline and the Potomac River, as well as spectacular sunset vistas. Rooms are minimalistic and modern, done in a sleek palette of gray and cream with pops of yellow. 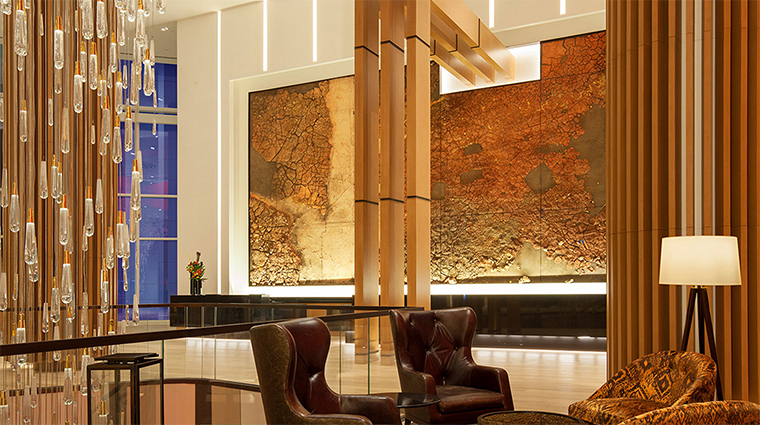 The main attraction is the view, perfect from every room thanks to floor-to-ceiling windows. 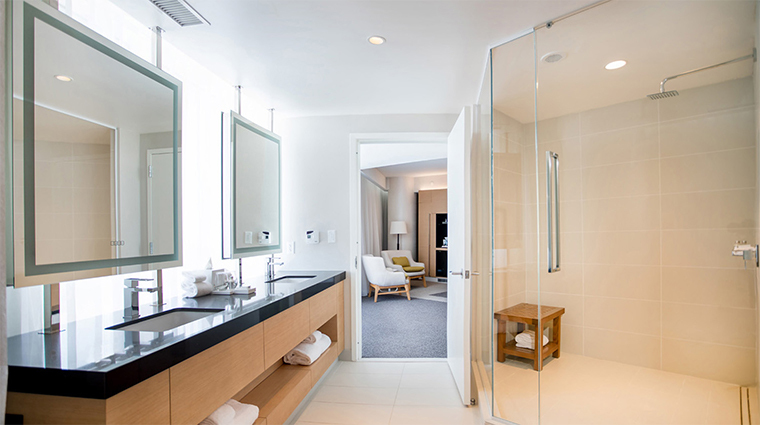 Custom amenities from Lather are made just for the luxury hotel. We love the turndown treats, a face mist and relaxing night balm for pressure points, which come in handy after a late evening in a loud casino. 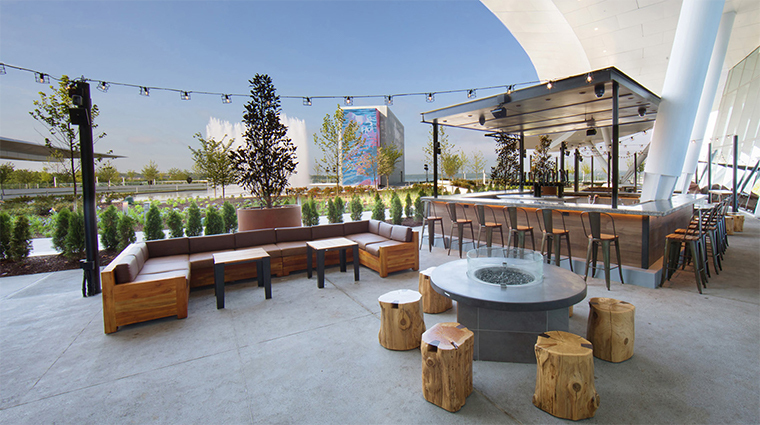 For some of the best people-watching, ask for a table on the indoor patio at Marcus, where you can nosh on jerk pork chops with bok choy in the heart of the hotel’s atrium. 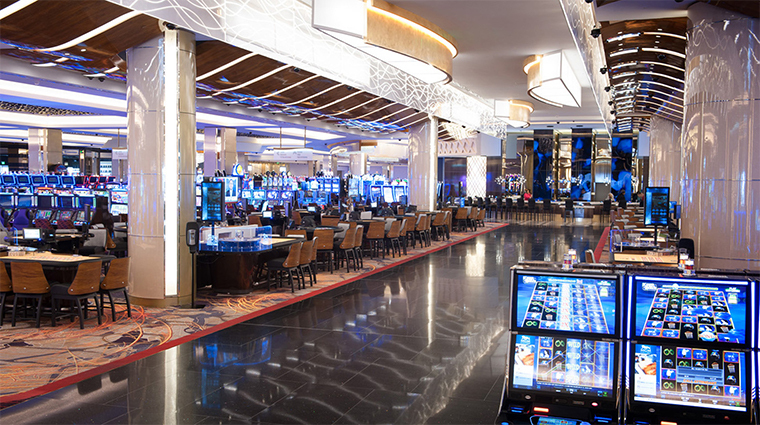 You’ll have a front row seat to the action as guests enter the casino, shops and theater. 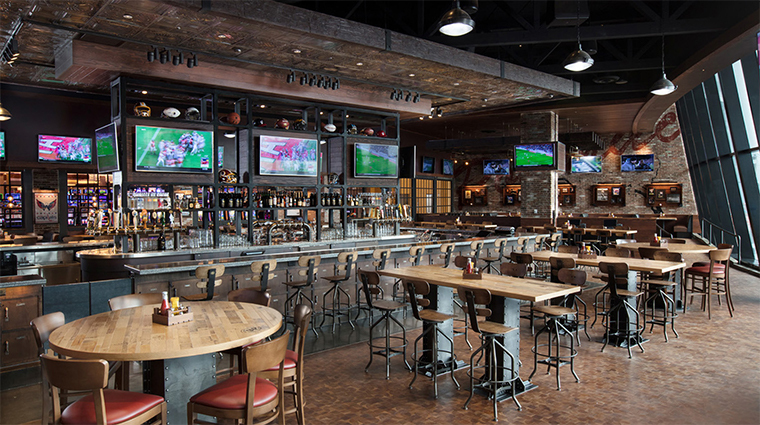 Steak is the name of the game at Voltaggio Brothers Steak House. Top Chef contestants (and Maryland natives), the Voltaggios serve up premium cuts of beef, but you won't want to miss the for-the-table side dishes — like the buttery, pillowy parkerhouse rolls — either. 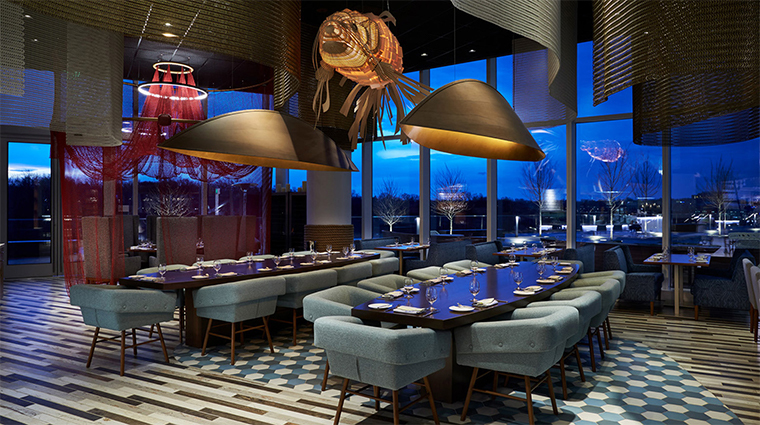 José Andrés, known as much for his fusion fare as he is for his work in molecular gastronomy, gets creative at the five-seat Maryland Fry Bar, a restaurant located within the seafood-focused Fish. Savor 11 courses served “José’s way,” where you’ll try lightly battered or fried bites of fresh local seafood, as well as crisp salads to cleanse the palate. 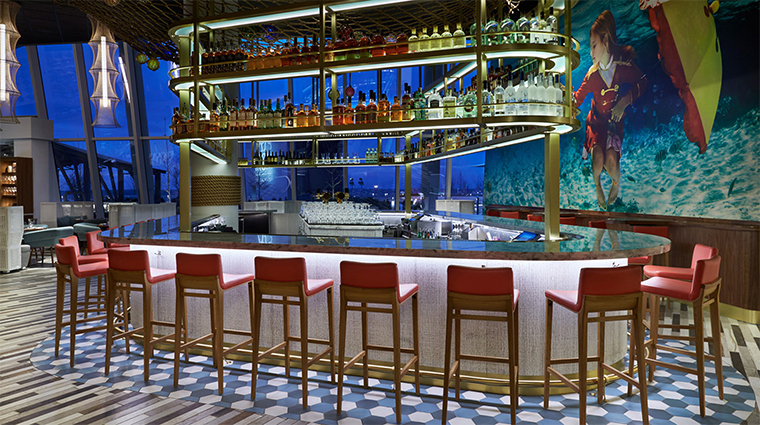 While José Andrés’ restaurant Fish features a globally inspired menu, it also celebrates locally sourced seafood with distinctly American preparations, like the barbecue oysters, Maryland crab cakes and lobster jambalaya.